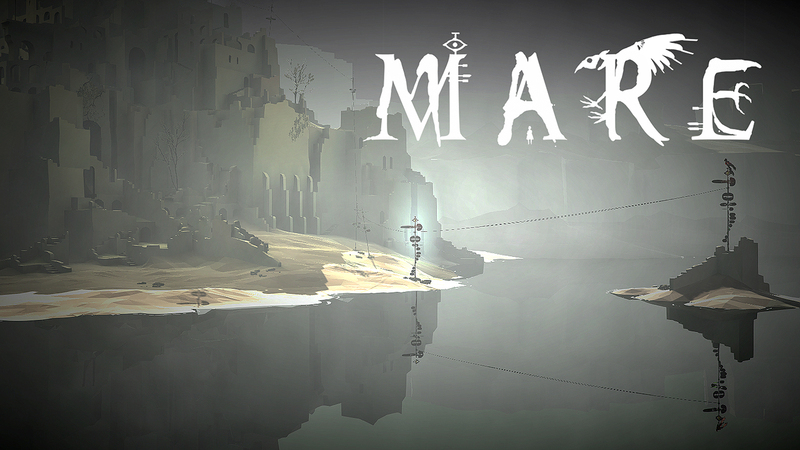 MARE is an exploratory and sensory Virtual Reality Adventure. 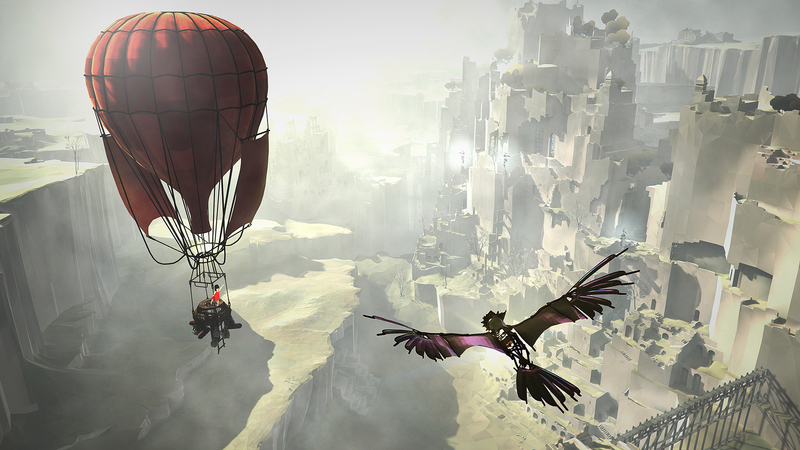 Experienced through the perspective of a mechanical bird that finds a little girl as a companion. By the means of your gaze and your senses you indirectly guide and manipulate this mechanical flying creature of which you for yet unknown reasons are attached to. And "Together" you journey through a mysterious world. In general for MARE I had a strong interest in creating something more unusual, and with the introduction of VR and the lack of any preconceptions behind it, it just felt like a huge creative opportunity. Thus Mare was designed with the intention to be a VR game only, and that its development would be guided by the freshness of VR - this is the story of its development so far. Why Not Let the Game Design Itself? For me executing a prefabricated plan is just a sign of insecurity, why do that when you can instead just discover and surprise yourself while developing it? Take nothing for granted, everything is temporary, and everything can change - why not? Why suffer from anxiety in order to follow the predefined design-plan? That plan will not save the game, but your dedication to the game will. Instead of taking the stance of imposing what I want for the game I will just listen to what the game really wants to evolve into and it becomes an ongoing, organic process but a really satisfying one. The unexpected nature of developing the game and the constant surprises I get from it is the single most important reason to make me want to create a game. The process of discarding hours of work, as painful as it sounds, and replacing with something much better, couldn't be more satisfying(Laughs). The art style for MARE was created around the requirements of the game design and what felt natural within the goal of the experience. Creating contrasts between the stillness of the ruins and, for example, the movement of a lonely tree that sways with the wind - is something I believe is a subtle and natural way to control how the player gazes the environment. As well as how he may feel surprised by the changes in it - creating his own interpretations based on these subtleties - and thus the goal is for the game design and art to be one and the same. One of the things I wanted to experiment the most with was to avoid using a conventional "narrative" - a spoken, written or presented account of connected events; therefore unintentional not focused on the players most powerful tool - their imagination. As the player will be introduced to the strange world of MARE, the player will be left to figure out and tie together the natural sense and mysteries of the world. Thus everything in MARE will be logically tied to the design of the world and all the player is left to do is create his own connections within his own mind and imagination. This while discovering the sense of how the world makes inside one’s own head and then procedurally each player will figure out its own personal unique reality related to the game. 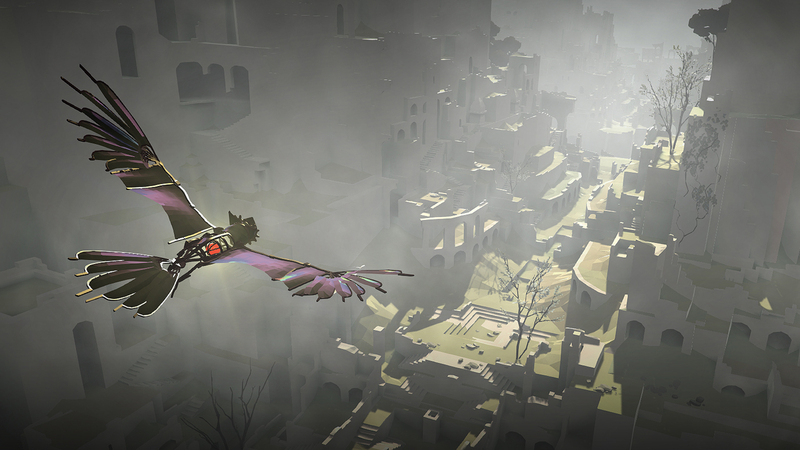 The environments were not only made to enhance the VR experience, but was also intended to give a sense of history and complexity to the world for the player to spark his own imagination beyond what he sees. Looking at how the sea was created for the game has somehow become a metaphor for how the whole game is currently being created. The development of the sea was based on trying to find a unorthodox creation technique that would naturally spawn a style that would stand out compared to any other game’s water. Creating an animated mesh tile out of inverted remeshed spheres - sounds silly? Not quite. Simply I just animated, by hand, a bunch of spheres the same way a procedural algorithm would render it with different parameters - with the difference that this way has more of a personal touch, control and uniqueness. Here's how the finalized sea looks like with the respective shader. Within an unlimited amount of mistakes and happy coincidences the game is slowly shaping up. But who knows, I might take a wrong turn and fall off another cliff - although, why not, I might find some riches down there! VisionTrick will be atending the GDC Expo March 1-3 showing off the Rift and GearVR versions of MARE at the Unity booth as part of the Made with Unity Showcase. Please come by and say hi!